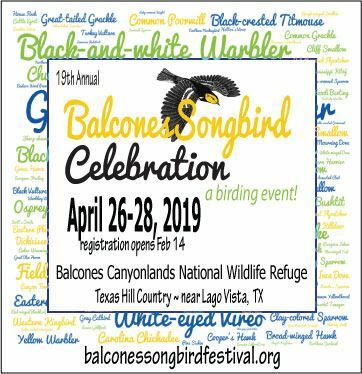 Though the Balcones Refuge was created to protect the nesting habitat of two endangered birds, the Golden-cheeked warbler and the Black-capped vireo, it has become so much more. In 2017 over 3200 students participated in nature-based Environmental Education events. Recreation is important too. The trails at the Refuge have been called "the best in the Hill Country". The dove and deer hunting programs bring hunters out to enjoy a day in the Hill Country and keep wildlife populations in check. The Firearms Safety Program introduces new and experienced hunters to best practices. Keeping the Hill Country wild is paramount. Balcones has been designated an Important Bird Area by the National Audubon Society. Working with the Lady Bird Johnson Wildflower Center, Balcones Refuge collected tens of thousands of milkweed seeds to help save the declining Monarch population. 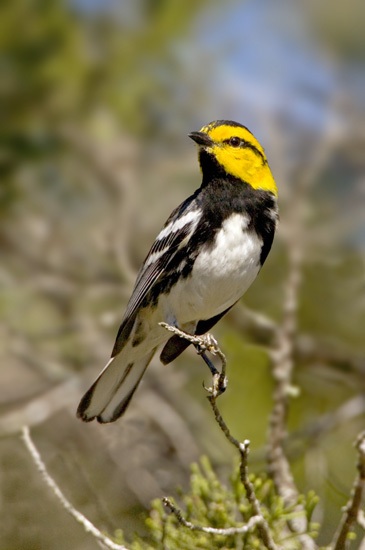 In 2017 Balcones, along with its partners, outfitted 100 Golden-cheeked warblers with geolocators in order to study their migration patterns. Currently the Refuge is partnering with others to insure the water quality of the Cow Creek watershed. Participants were greeted and disoriented by dense ground-level fog as they arrived for the 15th annual SparrowFest event on Groundhog Day, February 2, 2019. Veteran leader Jeff “Towhee Boy” Patterson came to the rescue by waving a light at the Flying X entrance, and while doing that Jeff was treated to the sounds of displaying woodcocks overhead. Back at ranch headquarters participants enjoyed a light breakfast and signed up for various field trips to the Flying X, Eckhardt tract, Peaceful Springs, and Simons tract—all destinations which are inaccessible to the public except during events like SparrowFest and Songbird Festival. Besides “Towhee Boy”, trip leaders included SparrowFest founders Byron “Sparrowman” Stone and Bill “Spizella” Reiner, as well as Randy “Pink Note” Pinkston. Morning trips struggled with persistent fog through late morning and the resultant suppression of all avian activity except for billions of robins streaming overhead. Nevertheless, sixteen total sparrow species were tallied by the time everyone reconvened at the Flying X for lunch. Delicious chili was served—both regular and vegetarian—while everyone celebrated experiences like cooperative Canyon Towhees at the Flying X, gorgeous Black-throated Sparrows at the X and Simons tract, plenty of Grasshopper & LeConte’s Sparrows everywhere, the latter at arm’s length as we encircled them, Fox Sparrow at Eckhardt, and Harris’s Sparrows at both Eckhardt & Simons. Many participants were treated to a cooperative Sage Thrasher at Simons tract. Our midday break was more than adequate for lunch, a nap, and/or continued birding around ranch headquarters, although most everyone attended “Sparrowman’s” informative & entertaining lecture on the secrets of identifying all 20 wintering sparrow species of Balcones Canyonlands NWR. Afternoon field trips ventured forth around 2:30 pm and visited the Flying X and Simons tract. Fifteen sparrow species were tallied, missing only White-throated Sparrow from the morning trips. The Sage Thrasher gave another great show for those who visited Simons in the afternoon. No new sparrows were added on the afternoon trips so the grand total was sixteen species—about average or perhaps slightly below average for SparrowFest, due at least in part to dense morning fog. “Sore” misses were Lark Sparrow and junco, and less surprising misses Eastern Towhee and Swamp Sparrow. Despite foggy conditions in the morning—and through the years SparrowFest has endured greater adversities than fog!—clearly SparrowFest 2019 was another successful event for everyone involved in terms of celebrating the annual winter native sparrow spectacle on the refuge, and for raising much-needed dollars for the refuge Friends Group. Many thanks to all participants and to the Friends Group volunteers who made this year’s event so enjoyable and successful.